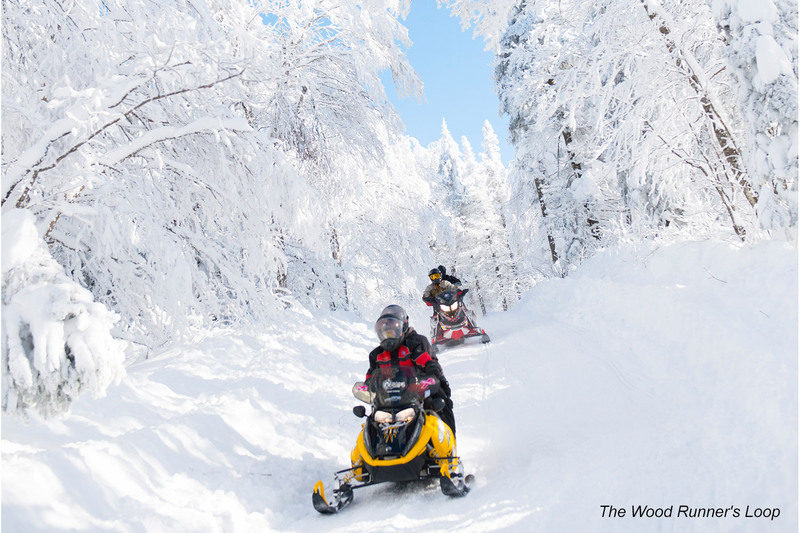 Although snowmobiling is a relatively “young” activity, its history is deeply rooted in the province of Québec. It was here snowmobile pioneers first dreamed the concept of riding over the snow in motorized, personal vehicles. It was here public trails were created, snowmobile clubs formed and trail groomers designed to smooth the snow highways that would make Québec winters legendary around the world. 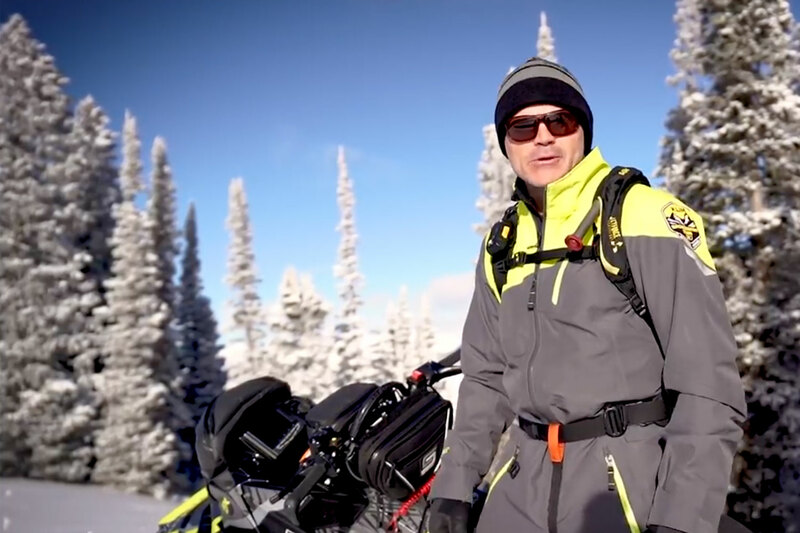 The passion that began it all still burns brightly today and a vast network of Québec trails and tourism businesses have been fine-tuned to create a world-class experience for snowmobilers choosing to visit. Ask any rider anywhere and they’ll tell you: When it comes to snowmobiling, Québec is the best place on earth! Trans-Québec 5 is the heart of touring in Québec and it’s no exception here. 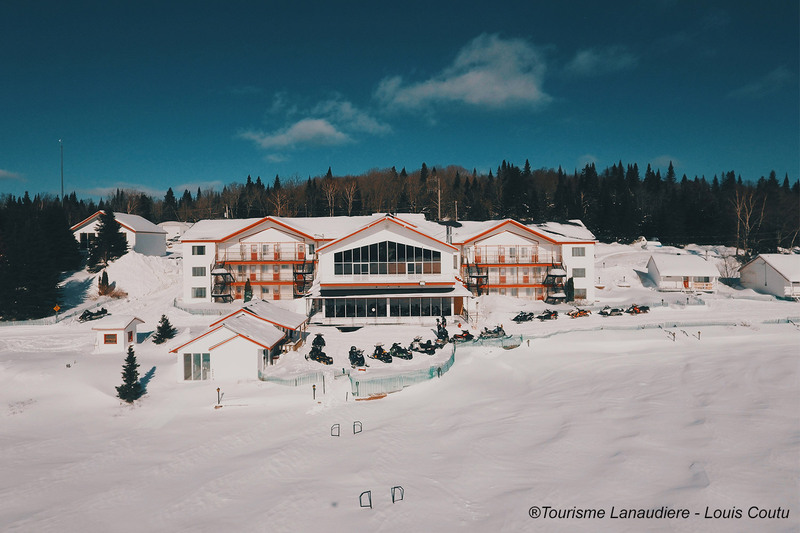 A perfect example: Amazing accommodations like the 4-star Riôtel Matane located in Gaspésie are easily accessible from this groomed snow-artery and you can choose to start your snowmobile trip right from its doors - convenient parking is available - or make it a memorable stop on your journey. Sea views and quaint, comfortable rooms are part of this hotel’s experience and you can fine-dine Québec-style at Le Cargo. At Riôtel Matane there’s a heated indoor pool waiting to be enjoyed plus a spa and sauna with a view of the river. The first of two other 4-star must-stays in this region is Hôtel Rimouski which is centrally located in Bas-Saint-Laurent along the edge of the St. Lawrence River. The local snowmobile trail which connects to the Trans-Québec 5 provides direct and easy access. The hotel property is also within walking distance to downtown where you will find shops and restaurants.Video surveillance of the snowmobile parking lot allows guests to rest with confidence as they enjoy a hearty meal at the bistro and enjoy some rest and relaxation either pool side or at the hands of a massage therapist. The other is Hôtel Le Manoir in the historic neighborhood of Baie-Comeau in Côte-Nord. Accessible from Trans-Québec 3 and located right next to the St. Lawrence River, Le Manoir offers rooms with view looking out across the bay and river. Its close proximity to the crossing for Gaspésie has made it a popular stop where guests enjoy Bistro specialties; tapas and tartar. There is always more to experience beyond the spectacular scenery from the seat of your snowmobile. After a day on the trails, extend your enjoyment amongst friends and family with a delicious meal from one of the many hotels and restaurants in the region. Interested in sampling some of the finest regional brews. Then why not base your trip from the Hotel Roquemont and microbrewery. Its charming and rustic style is a welcome site after a long days ride where you can relax and enjoy a delicious meal accompanied by a large selection flavorable beers. 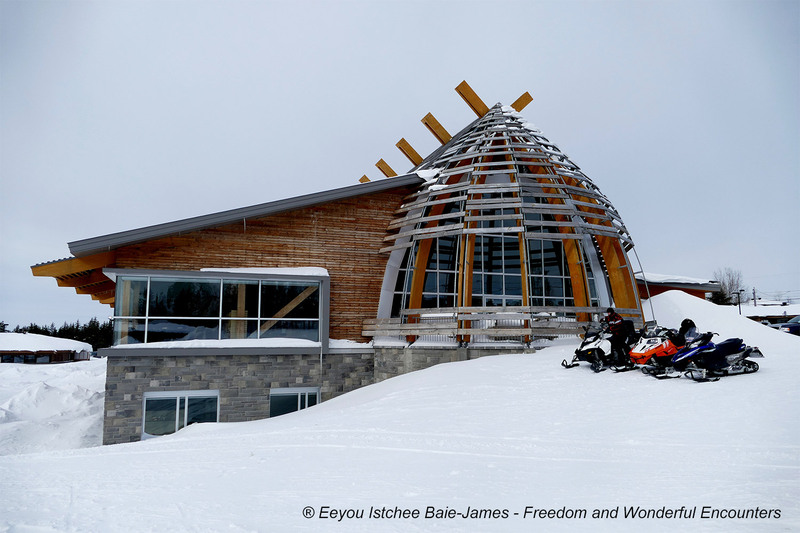 Of course if you want to truly extend your nordic adventure, there is no better place than the world famous hotel built entirely of snow and ice, the Hôtel de Glace. Enjoying a chilled beverage will only be the start to an unforgettable overnight experience. Then there’s one of Québec’s most famous landmarks, accessible by trail and located in La Malbaie in Charlevoix: The incomparable Fairmont Le Manoir Richelieu! Charlevoix region is also home to a long list of gourmet restaurants and is truly a food-lover’s paradise. For something different, snowmobilers head to Destination Monts-Valin in Saguenay-Lac-Saint-Jean. It offers an extraordinary off-trail riding experience and local guides are available to show you the best places to play. You can also visit Centre Plein Air Mont Vilain, located between Monts-Valin and Lac-Saint-Jean. It’s here you’ll find rustic overnight accommodation, gasoline for your sleds and an incredible local menu! Québec is famous for its luxurious places - really something visiting snowmobilers are always impressed with and surprised by. Places like La Cache à Maxime in Scott and La Cache du Domaine in Thetford-Mines or Manoir du Lac William in Saint-Ferdinand offer world-class accommodation and spectacular cuisine. Oh, and don’t miss the local brewery Ô Quai des Brasseurs in Bécancour. Truly, a unique experience! This region has been a snowmobiling must-see for generations. The trails offer exciting adventures and incredibly scenic views. The local outfitters here offer fantastic accommodations and meals and incomparable outdoor activities. Some places to check out: Pourvoirie du Lac Blanc, Club Odanak Pourvoirie au Pays de Réal Massé and Centre du pourvoyeur Mastigouche and Koubek’s Club, one of Québec’s oldest fishing clubs. 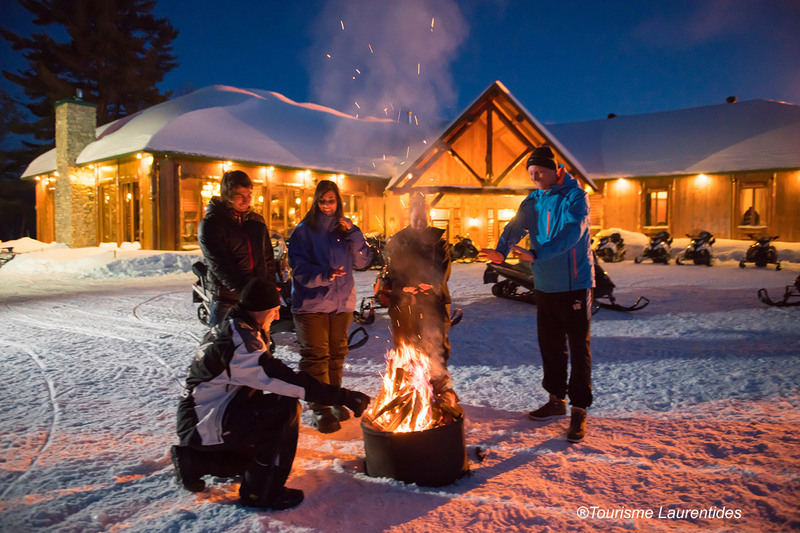 The Laurentian region offers a varied snowmobile experience. You can ride solo on groomed trails here for hundreds of kilometers or enjoy a guided tour to discover some of the many unique, hidden sights. Many snowmobile rental specialists organize guided tours ranging from a few nights to a full week and include a variety of other winter activities like dog sledding, snowshoeing and ice fishing. You might stay at the rustic log-constructed Mekoos Lodge and many other comfortable inns that have the same quality standards, such as Pourvoirie Club Fontbrune Québec hospitality is a big part of the experience and you’ll dine like a king. FEATURED TRAIL: THE WOOD RUNNER’S LOOP is just over 1100 kms in length and can be enjoyed over 3-4 days as you tour through three magnificent regions, of wich the Upper Laurentians where you’ll be treated to spectacular views atop mountains and breathtaking scenery along the many rivers and lakes. .
Outaouais offers a trademark Quebec snowmobiling experience. Meticulously groomed trails to the horizon, convenient access to inns and restaurants and a near-guarantee of snow the whole winter. You’ll get to enjoy Auberge du Draveur: located in Maniwaki, where the food is delicious and the accommodation is lovely! Don’t miss Auberge Majopial near Lac-Trente-milles. You’ll find a fully stocked wine cellar and cozy cottages. The restaurant here, called Huile d’Olive, offers a delicious local menu. On Lac Sainte-Marie, Domaine Decelles is the ideal place for larger groups. You simply have to check out the spa on the rooftop! A couple of hours East of Val d’Or off provincial trail #83, you’ll find Le Balbuzard Sauvage. This remote and completely snowmobile-friendly inn offers great cuisine at the end of the day after you’ve experienced the region’s impeccable trail system and majestic scenery! Put this ride on your bucket list! It’s famous for its abundant snowfall, great trail system and unforgettable vistas. You can ride confidently with your own group or take a backcountry-style guided trip if you wish. Local outfitters are available to provide rustic, comfortable accommodation. Sample these ones: Mirage Outfitter, Écogîtes du lac Matagami or Centre de Villégiature Marina Chibougama. FEATURED TRAIL: FREEDOM AND WONDERFUL ENCOUNTERS Departing from Chibougamau this 350Km route is an enjoyable full day ride as you tour two-and-from the regions of Mistissini and Oujé-Bougoumou. Known for its outstanding snow conditions this tour can be enjoyed late into the season. For more information on snowmobiling in Québec go to www.snowmobileinquebec.com. The website acts as the perfect ambassador to the region and assistant in planning your ultimate snowmobile adventure.